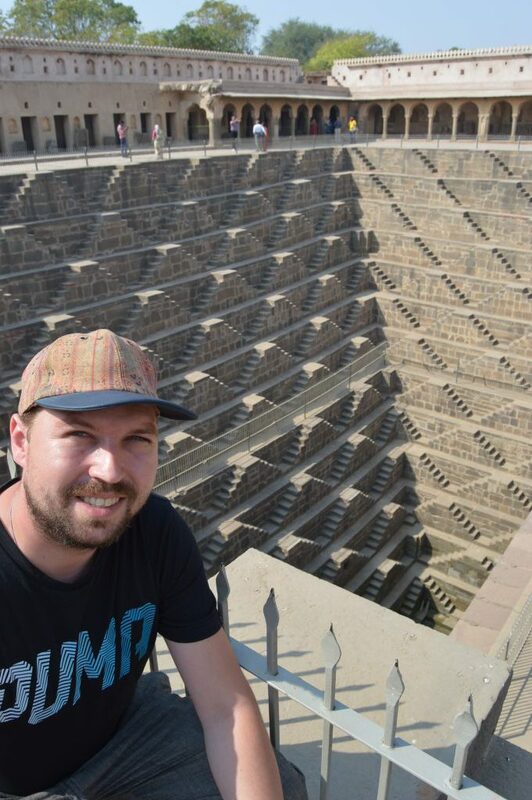 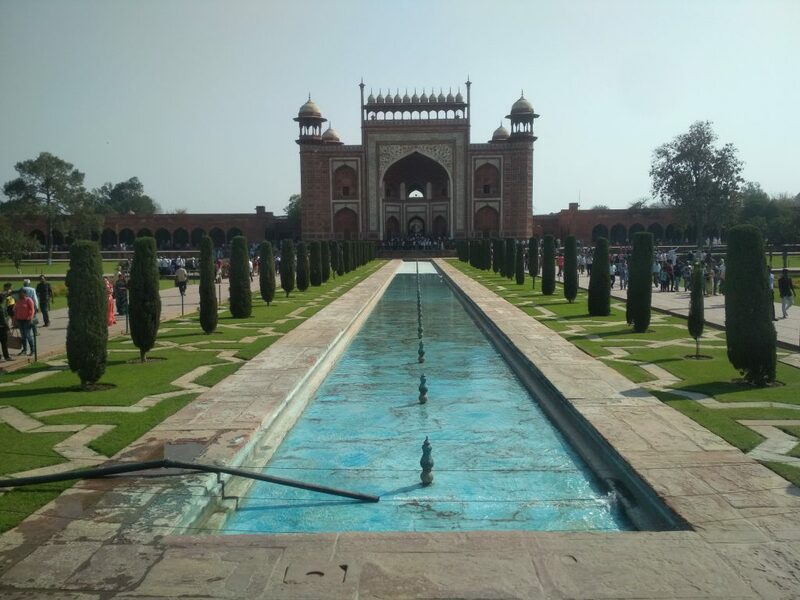 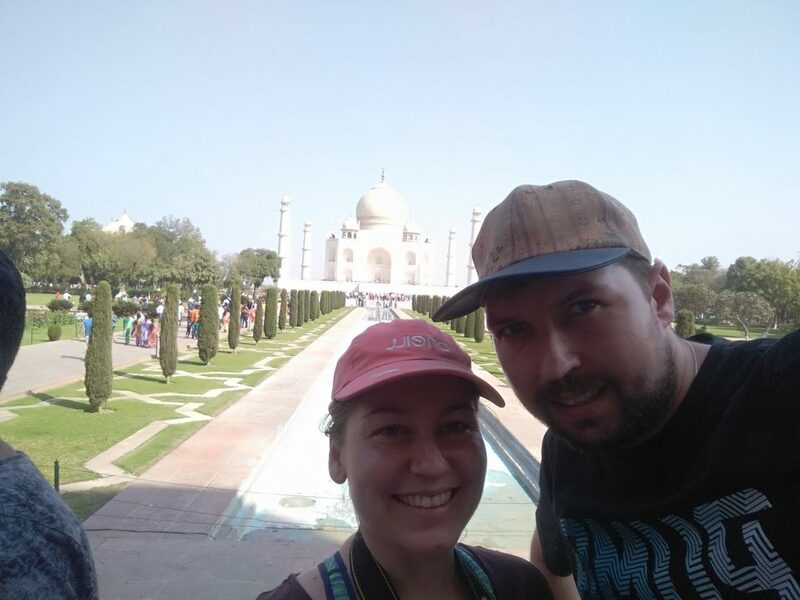 From Jaipur on we drove via Chand Baori stairwell to Taj Mahal in Agra. 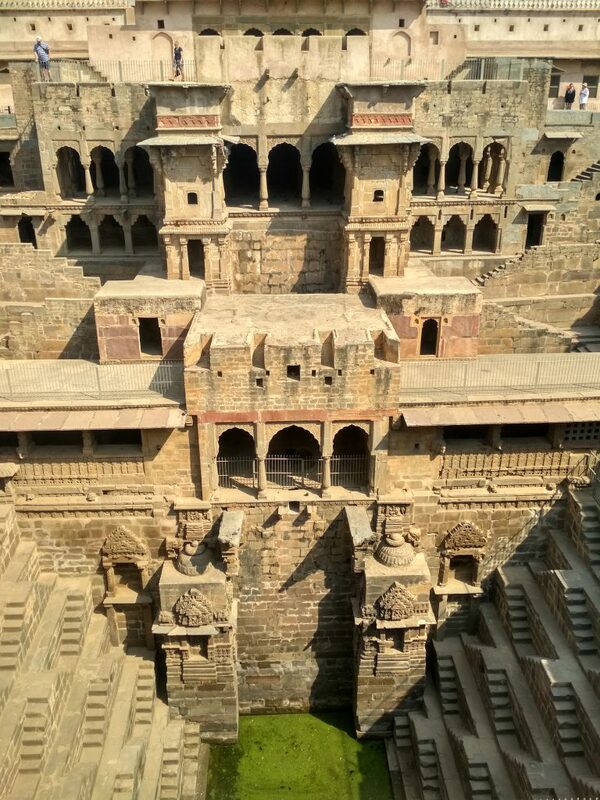 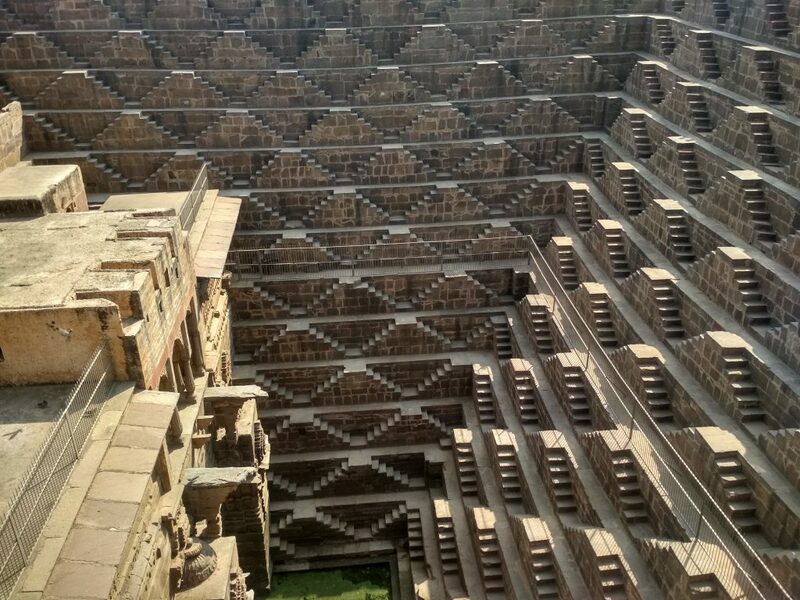 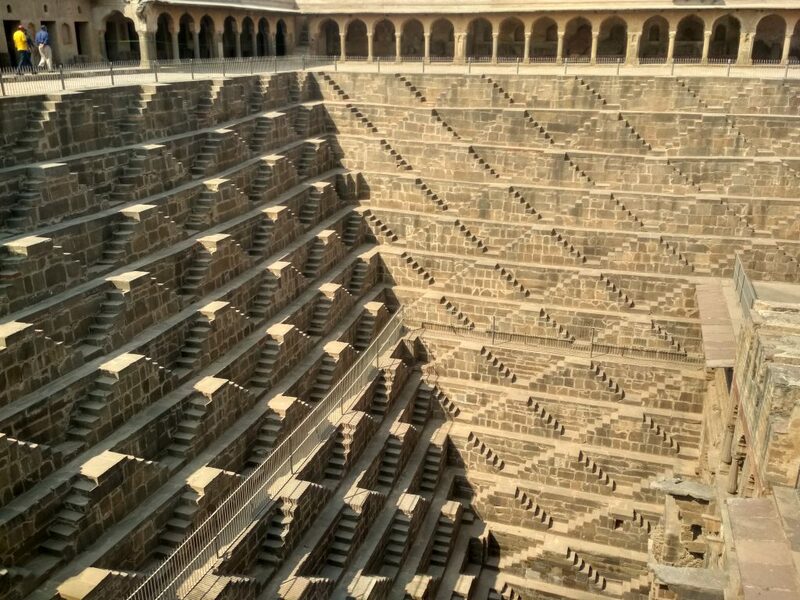 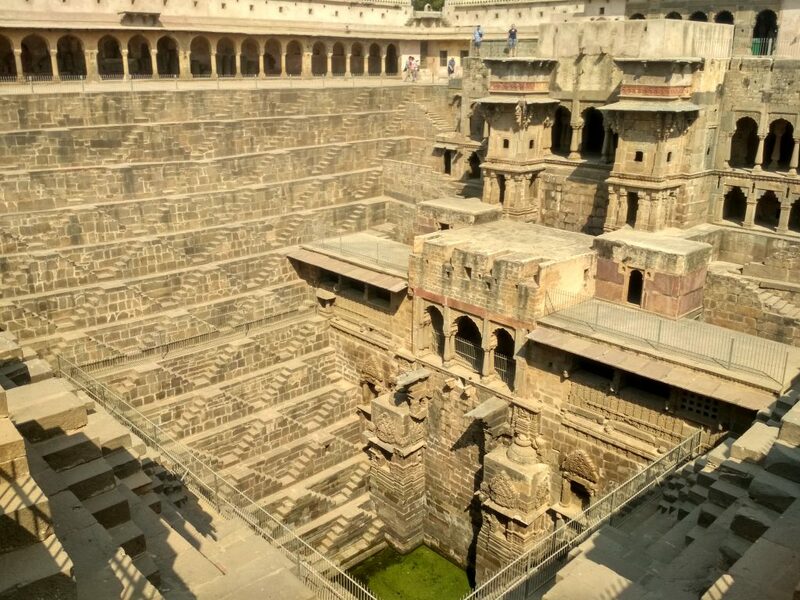 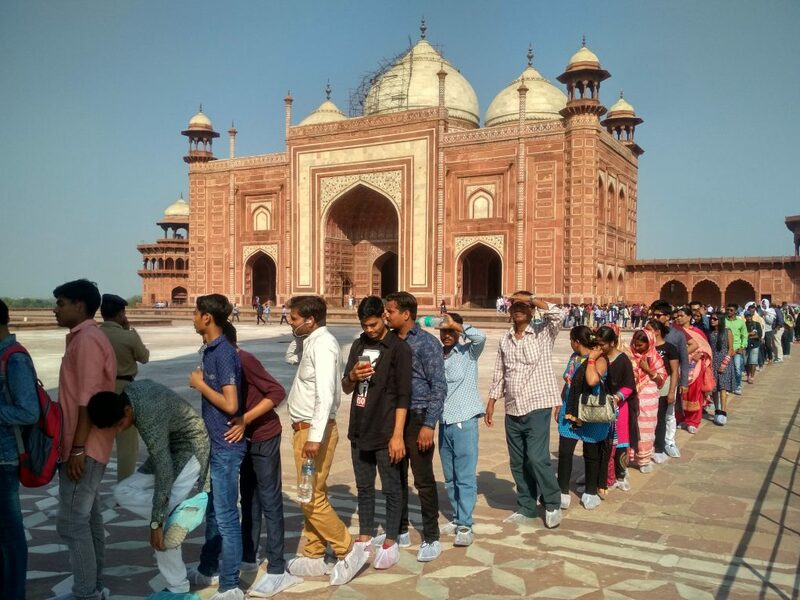 Agra is a real shithole where there is nothing to see beside the typical city fort. 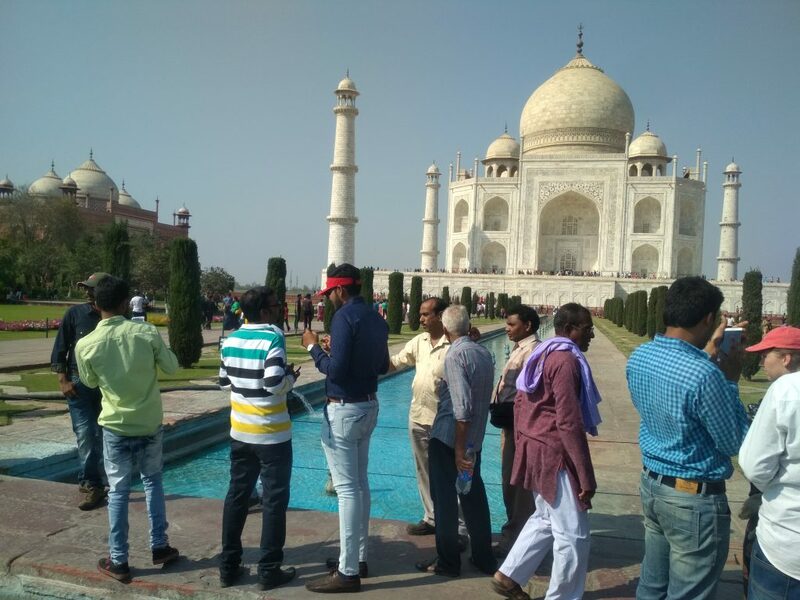 Taj Mahal itself requests an entrance fee of 1000RS for foreigners and 40RS for Indian people what is already the first bad thing about it. 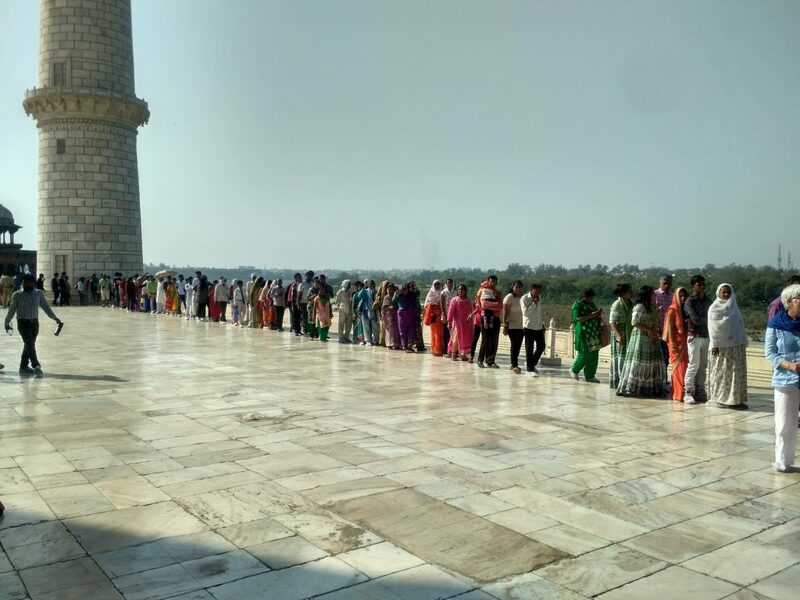 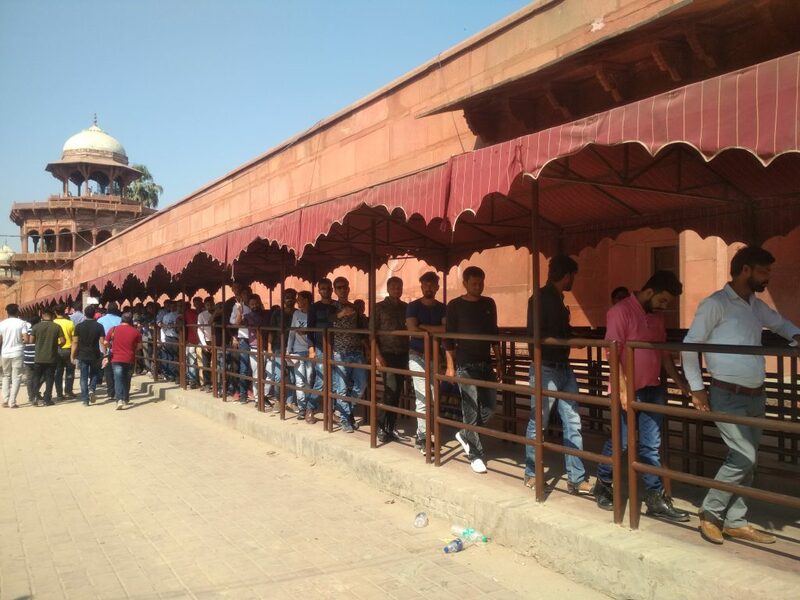 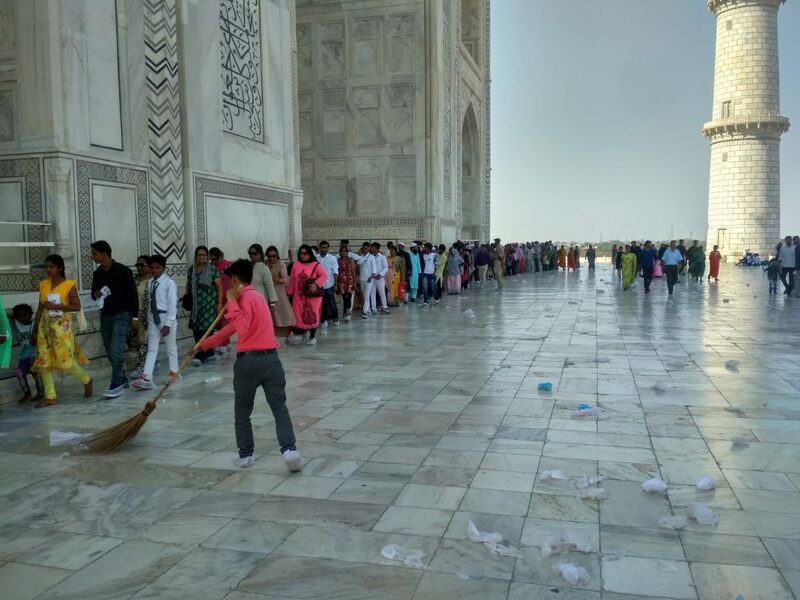 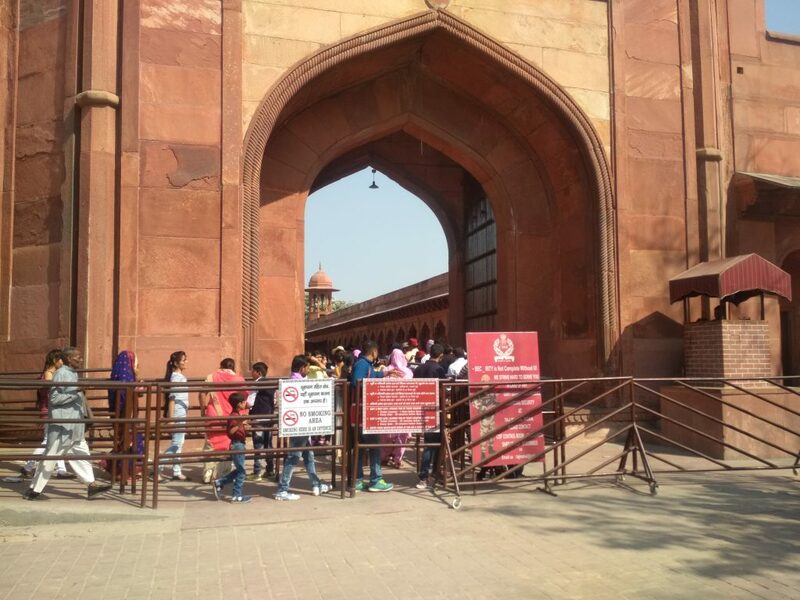 At least it is a “High value ticket” what makes you skip the endless lines of Indian people around the Taj. 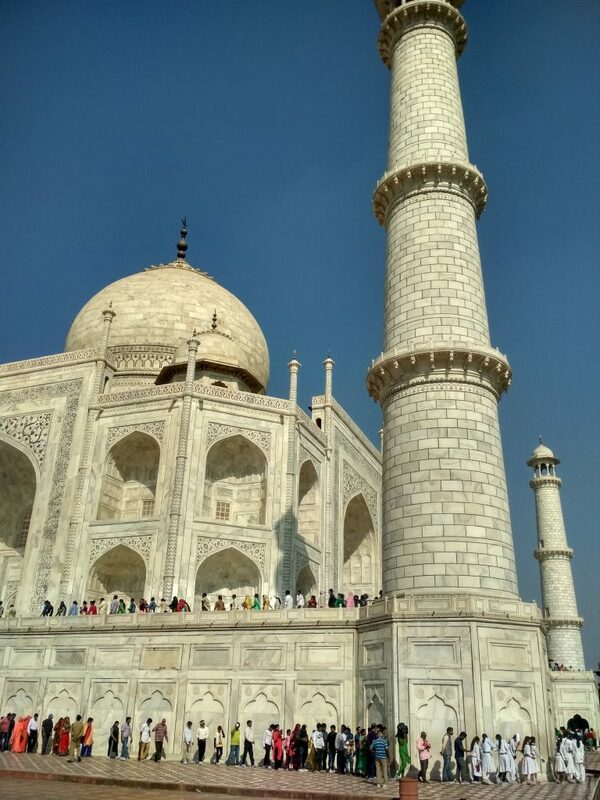 I must admit Taj Mahal is beautiful, but it also was the most touristic place I ever saw. 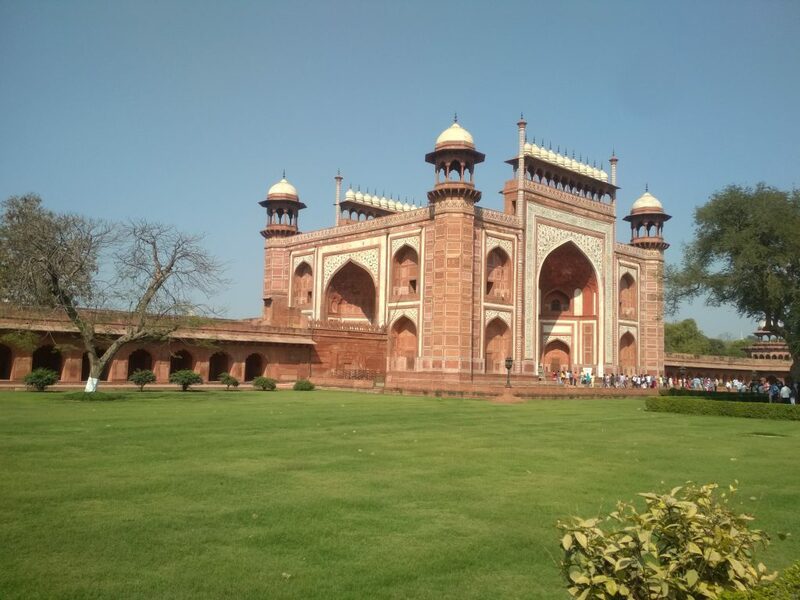 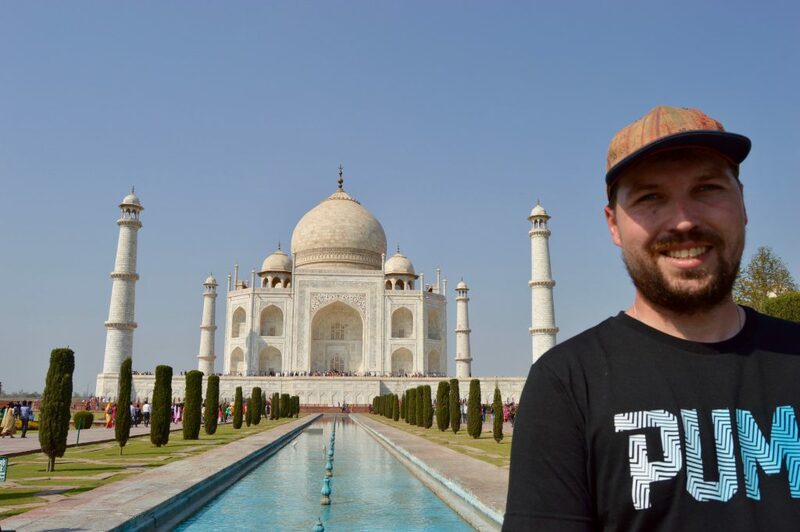 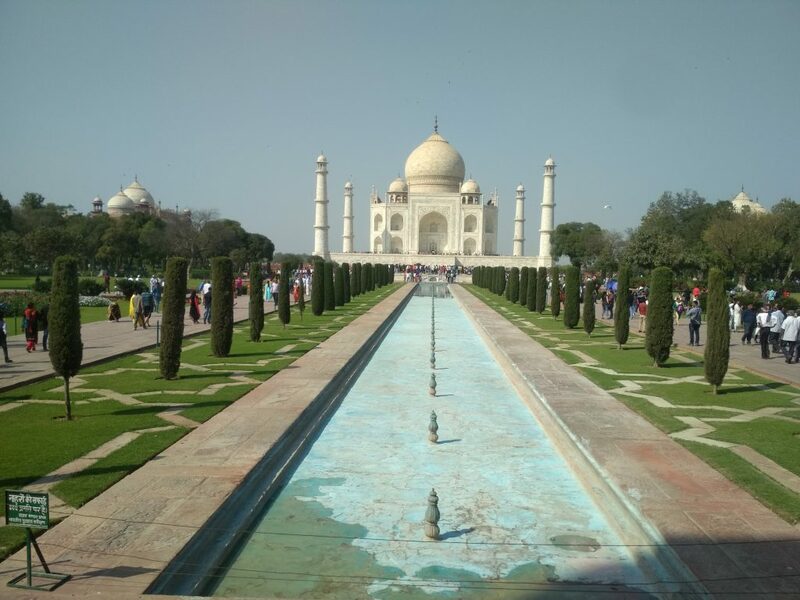 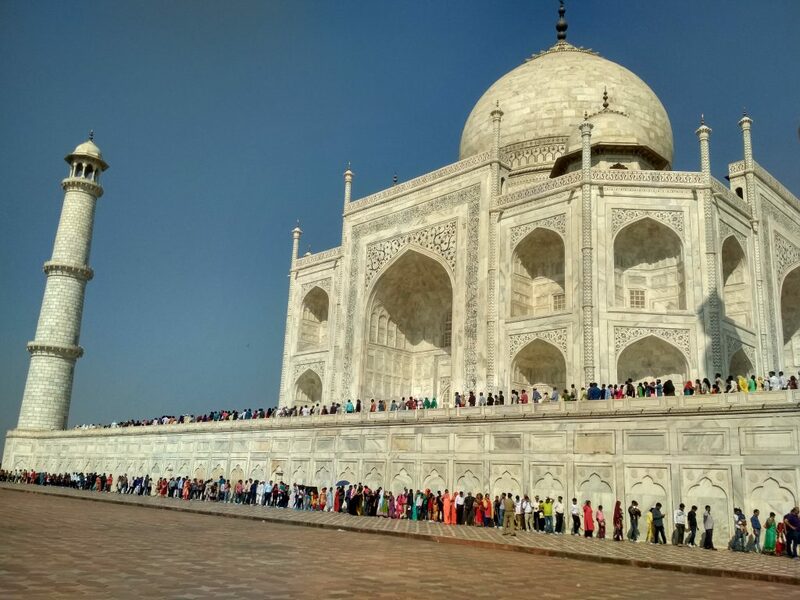 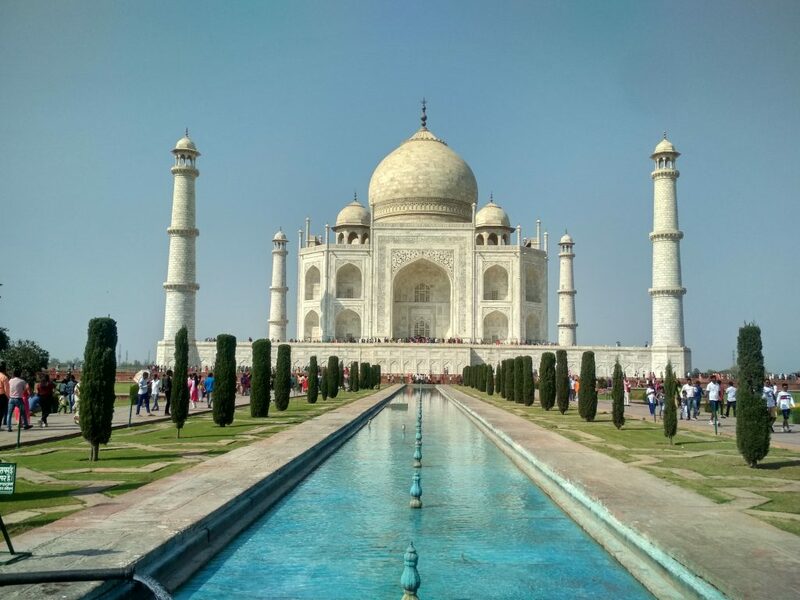 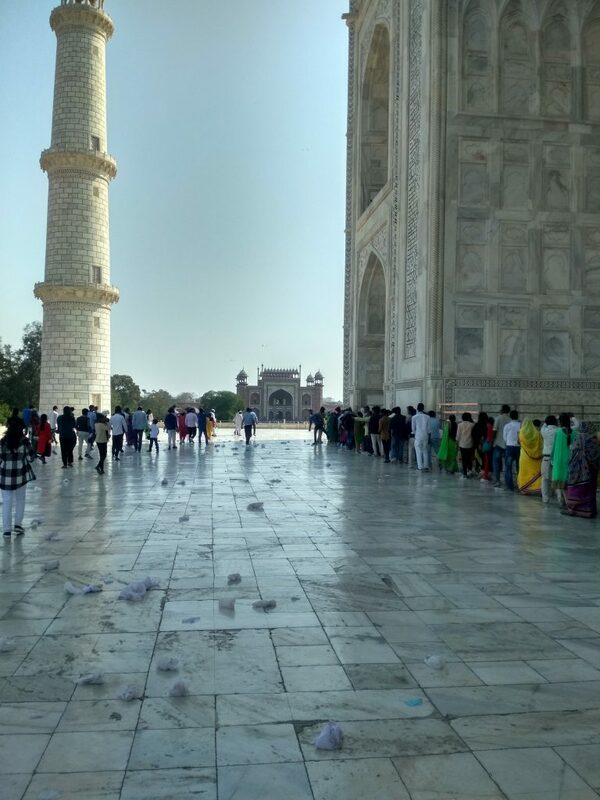 I documented this and by doing the typical perfect Taj photo and how it looks really on a visit as I think it is very important to also show the downsides of all the beautiful pictures you can find on the internet those days. 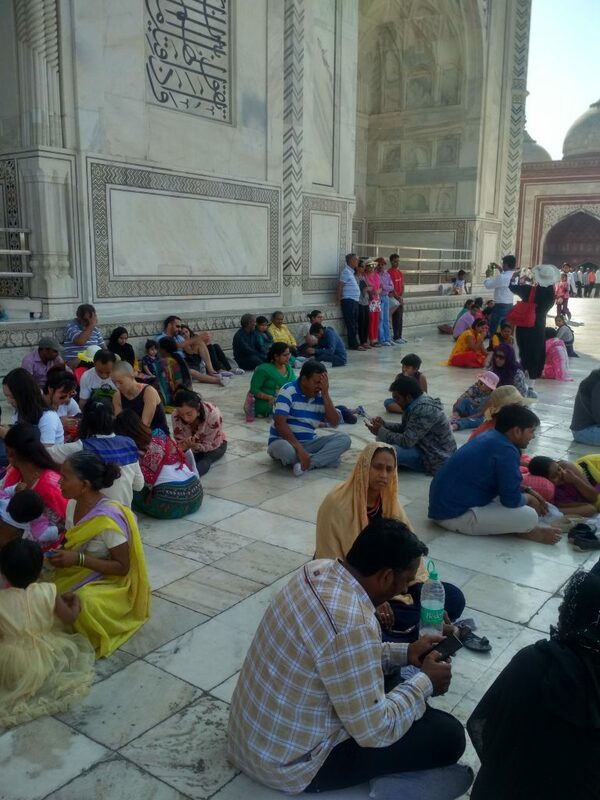 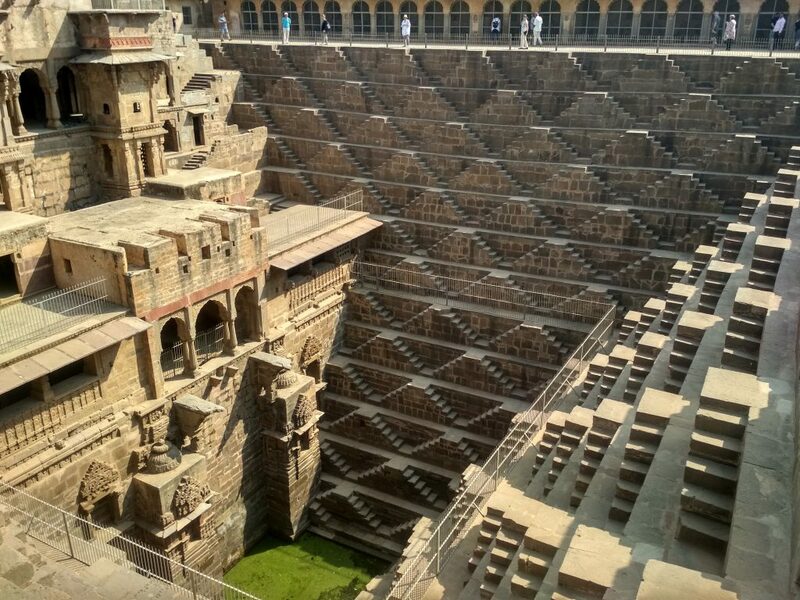 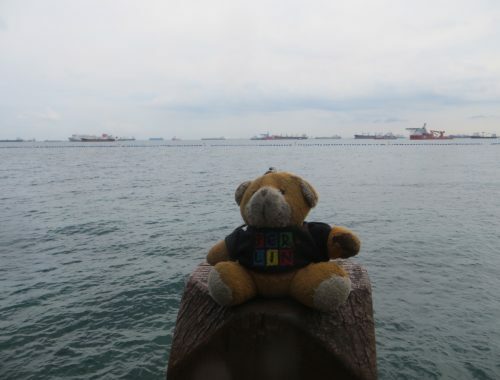 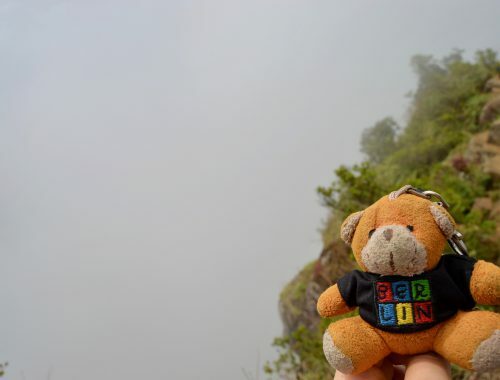 Tip: We went on a saturday, so the amount of Indian tourist might not be as bad on a weekday! 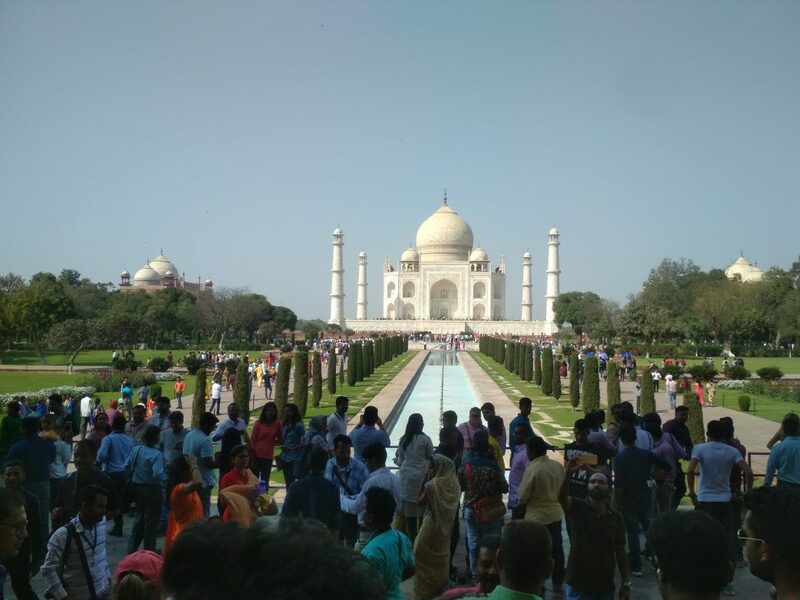 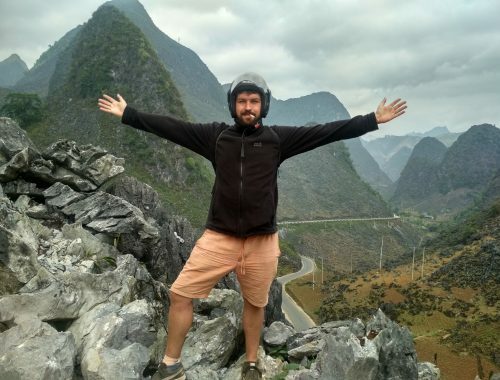 Please share your experiences, tips and tricks about Agra in the comment section to help others!